HO CHI MINH CITY, July 20, 2018 — Habitat for Humanity Vietnam recently presented on the achievements of the Vietnam POSCO Steel Village project at a high-level United Nations meeting in New York. 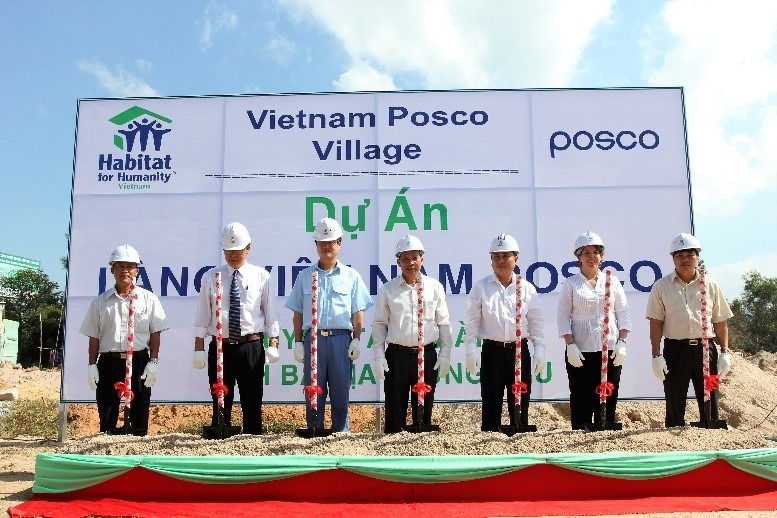 The 104-home project in Ba Ria Vung Tau province is a joint initiative between Habitat Vietnam and Korean steelmaker POSCO. 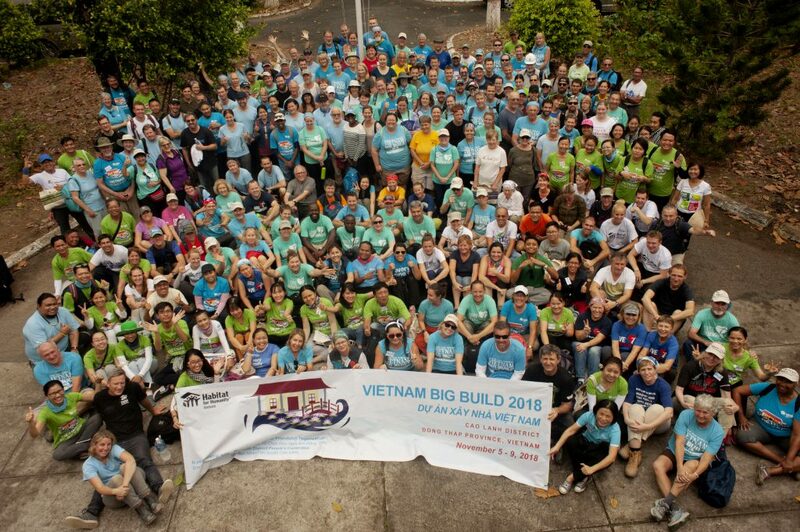 Through Habitat for Humanity Korea, POSCO contributed generously to the three-year partnership with Habitat for Humanity Vietnam in Ba Ria Vung Tau by funding the project through its corporate social responsibility effort, the use of steel products and technology as well as volunteer labor. By the completion of the project in June 2017, a total of 104 Vietnamese families have created a better life through stable homes, and water and sanitation facilities. Other countries in the Asia-Pacific region where POSCO has provided key support for Habitat for Humanity’s programs include Indonesia, Korea, Myanmar and Thailand. 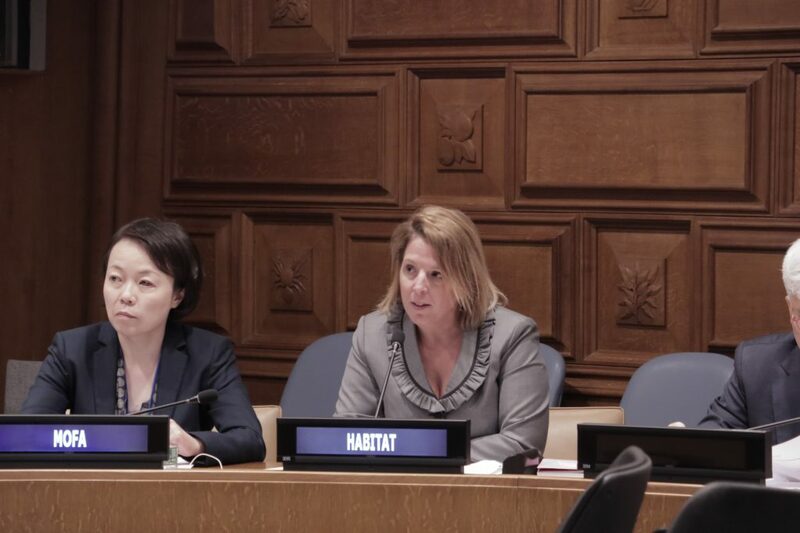 On July 17, Kelly Koch, Habitat for Humanity Vietnam’s National Director, joined POSCO representatives at a side event in this year’s United Nations High Level Political Forum on the Sustainable Development Goals held in New York. 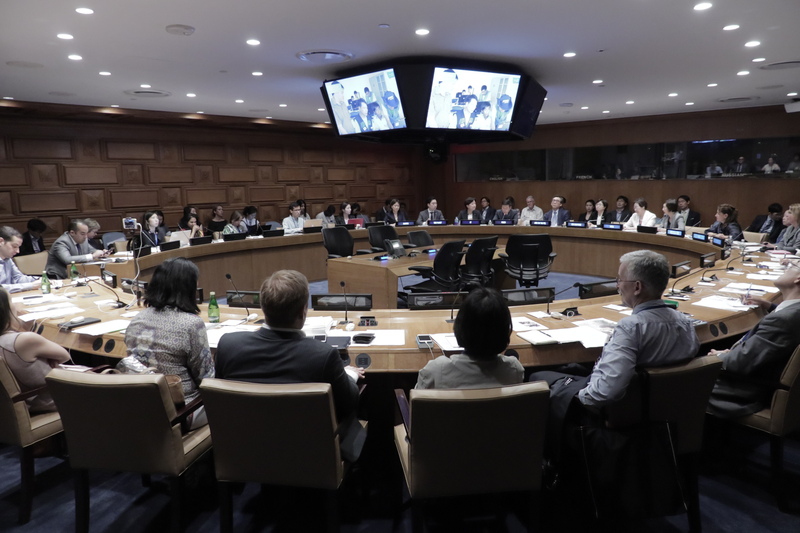 The event entitled “The Power of Partnerships: Finding Inclusive Solutions for Sustainable Societies” was hosted by the Ministry of Foreign Affairs of the Republic of Korea, Korea International Cooperation Agency (KOICA) and Global Compact Network Korea. The Vietnam POSCO Steel Village project was one of the presentations that focused on the best practice of inclusive solutions on the implementation of the SDGs. Following the presentation, Koch introduced Habitat for Humanity and highlighted the achievements of the POSCO-Habitat partnership. According to Koch: “To date, Habitat for Humanity has supported more than 13.2 million people to build or improve a place they can call home. 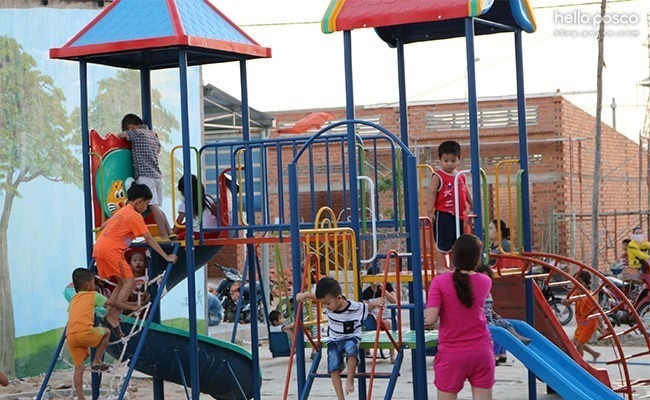 Many of those families have partnered with Habitat through inclusive public-private projects such as the POSCO Steel Village which are focused on the development of sustainable communities. 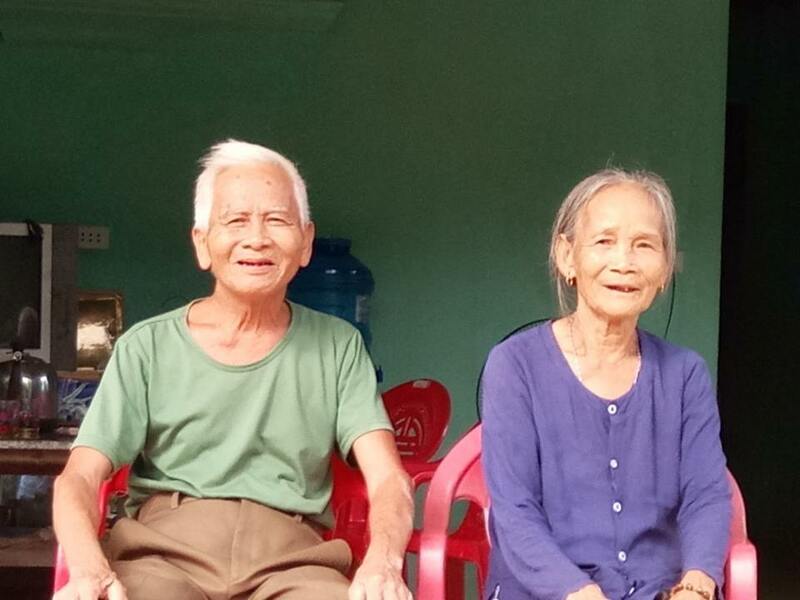 In Vietnam, Habitat for Humanity and POSCO worked with the Tan Thanh District government to support some of the most vulnerable families who were previously living in deplorable conditions without access to sanitary facilities and clean water. Earlier, the Vietnam POSCO Steel Village project was presented at an annual session of the United Nations Commission on Population and Development in April 2018. The session had met to discuss sustainable cities, human mobility and international migration. The POSCO-Habitat initiative has also been posted on the United Nations’ Partnerships for the SDGs, an online platform for sharing knowledge and expertise by public, private and civil society stakeholders. (Please see https://sustainabledevelopment.un.org/partnership/?p=23282#). 6 year partnership with POSCO in Ba Ria Vung Tau support 152 low-income families.